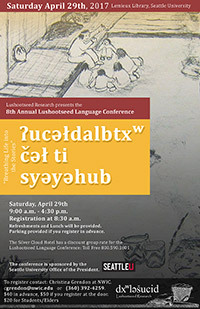 ʔuqʷulalikʷ čəł ʔə ti ləkʷaxʷatəb čəł ʔə tiʔił ʔuʔalalus čəł. We embrace those who have helped us with our practices. To pay for your registration, select from the dropdown box, either "Standard $40.00 USD" or Student/Elder $20.00 USD and then click the "Buy Now" button. 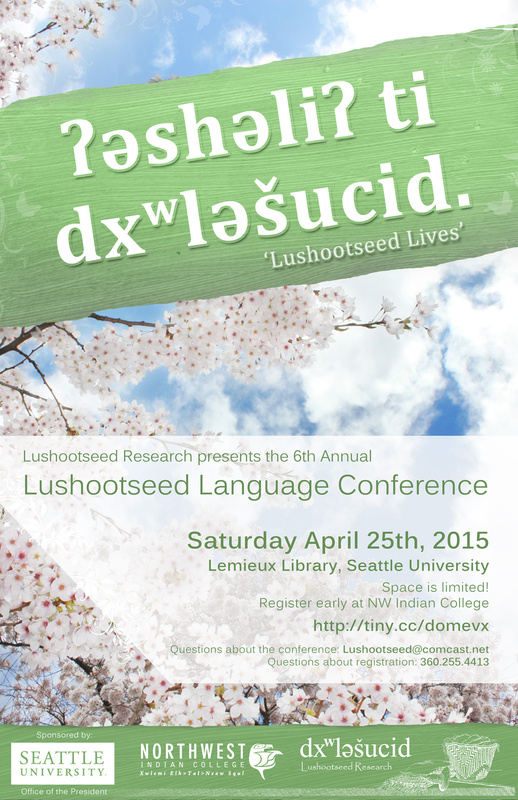 The "At the door" rate ($50) is to be used only on the day of the conference. 2018's conference was held on May 12th at Seattle University. Thank you to everyone who attended and presented! We look forward to seeing you next year! 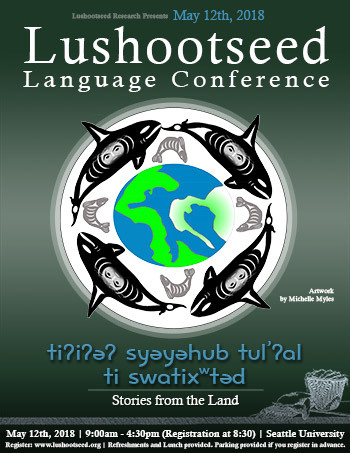 Lushootseed Language Conference 2017 - Thank you for joining us! "Breathing Life into the Stories"
Thank you to all attendees of this years conference for making it another success. 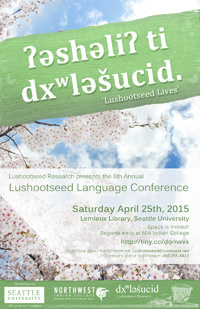 It was a great day filled with stories, songs and Lushootseed being spoken. Another successful event - thanks to everyone who attended, volunteered and participated!